Good to see you Jimmy, I haven't seen you around these parts in a while. You haven't even been on fanbards lately either, I thought you were having medical issues like CW. I think I've read one of your fanfics. The 2nd Try was a major spark in getting me into Eva Fandom, and even starting my own fics. Good to see you still rolling, sir! So are you still going to have a scene where Asuka's parents meet Aki-Chan and faint from the shock of seeing their brand new granddaughter lol. Those were great! I think I liked Shinji trying to carry Aki the best; the expressions were funny, and it's always amusing when Asuka is laughing at Shinji without being mean about it. Just got around to reading the trip to the fair! I think I've actually melted into a happy little puddle of goo from all the WAFF. That candyfloss scene was really touching too, easy to forget that Aki just won't know what a lot of things are yet. Super sweet. 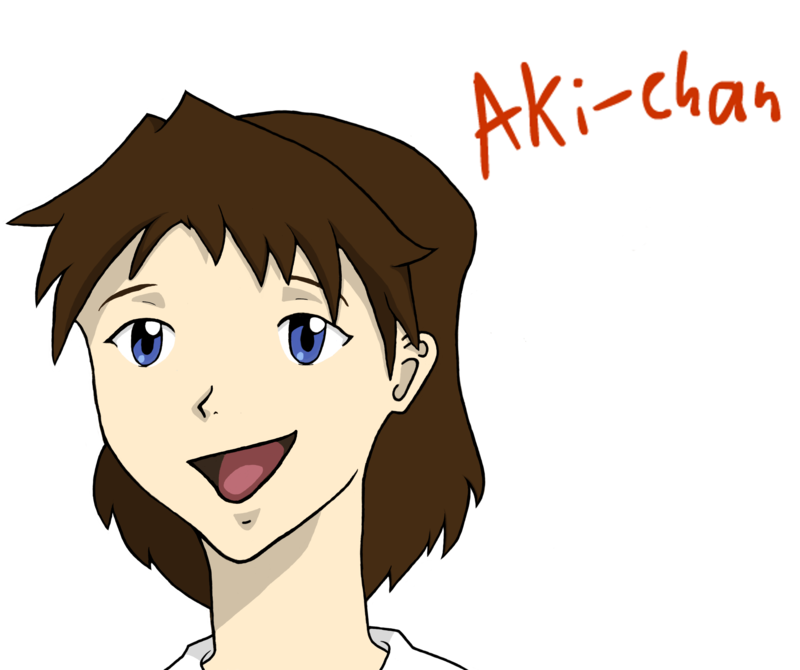 I got bored the other night so I decided to do a bit of doodling of Aki! It got a bit more serious than I thought, so a few hours later, here's the result! I specifically tried for the style of the TV show (it was an attempt, at least), and I also gave her a few years to approximately match her up to ~14 years old, so she's about the age that her parents were/are. I gave up shading the hair more accurately, because I was dissatisfied with every attempt, so it's *technically unfinished. Along with the webcomic, I also used pictures of her parents for a rough guide of her face, hoping to combine a few features. Spot the similarities? That's great, thanks! Always love to see fanworks. The picture of Shinji (I presume) doesn't load for me, but yeah, combining > cloning. And don't worry about the hair, I know how tricky that can be (especially highlights). And while rather late, of course also thanks @ jc! So wonderful watching Aki discover all the amazing things there are in the world full of people. And seeing Shinji and Asuka get a chance to be more normal parents for her. You're making me want to go carry my daughters around on my shoulders. I read the fanfic 2nd try, and read the comic. And I gotta say that you did a really good job man! This is no doubt one of my favorites. 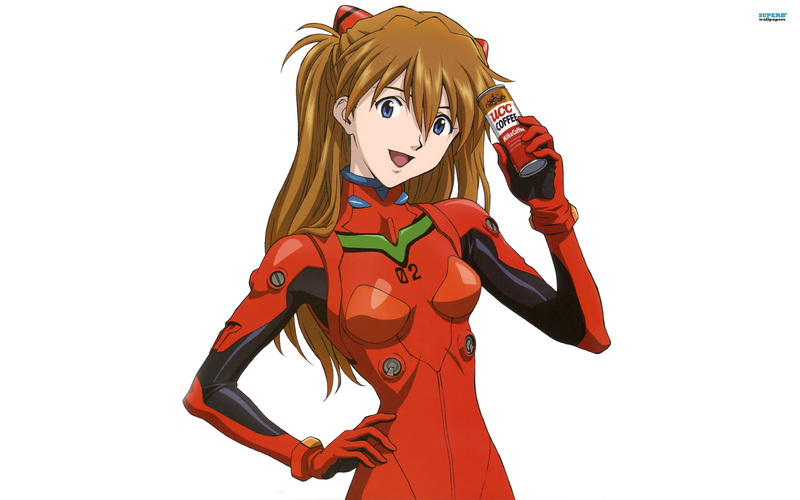 This made me wish that Asuka and Shinji would have gotten along better like this in cannon, and Aki is a cute little OC. Nice work! It's exactly what we need after watching the series, and gives the characters the happy ending they deserve.